WHEN ASKED TO describe Nancy Blake’s, one word comes into owner Donal Mulcahy’s mind: institution. Mulcahy’s parents opened the pub on Limerick’s Upper Denmark Street in 1956 with his mother’s name put above the door. For the next few decades, the family ran the pub with great success. It was even the first pub in Limerick to have carpet put in it. When his father passed away in 1991, Donal Mulcahy took over where he left off. That year, he opened The Outback, a late-night bar and music venue at the back of the pub. With that, he was forced to institute some changes. Mulcahy describes Nancy Blake’s as a traditional pub filled with character. It’s the kind of pub where you have sawdust on the floor and bartenders with decades of service under their belts. It also boasts a strong musical heritage. “We’ve always said music is our soul in Nancy’s,” says Mulcahy. The pub hosts live music three to four nights a week with a traditional session held in the front bar and blues and rock and roll gigs taking place in The Outback. “It’s hard to keep playing the old classic tracks to new generations but for some reason it still works after all these years,” he says. 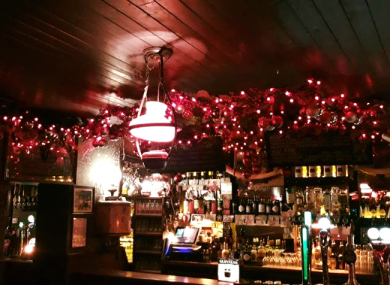 This being Limerick, the pub is also steeped in sport, with the focus being primarily on hurling and Munster rugby. There is no one type of customer who frequents Nancy Blake’s, says Mulcahy. Indeed he will often hear from customers who were regulars in the pub during his parents’ time. It also serves as a meeting place of sorts for people returning home for Christmas. It holds a special place in the hearts of Limerick people and Mulcahy believes this is why it has lasted so long. It’s an institution, you see. Email “'We had one particular guy called Paul O’Connell who used to work the door': Nancy Blake's in Limerick”. Feedback on “'We had one particular guy called Paul O’Connell who used to work the door': Nancy Blake's in Limerick”.